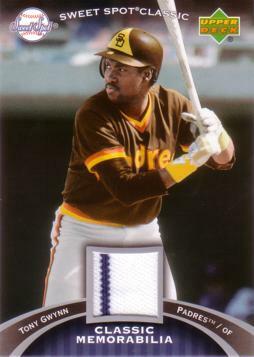 This unique baseball card has a piece of an authentic bat that Tony Gwynn used during a major league game! 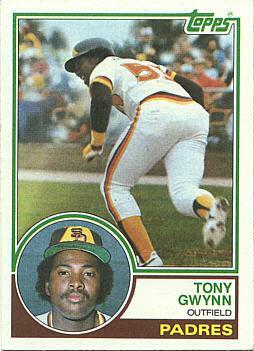 The Certificate of Authenticity on the back of this card reads: "You have received a Tony Gwynn Game-Used Bat trading card. 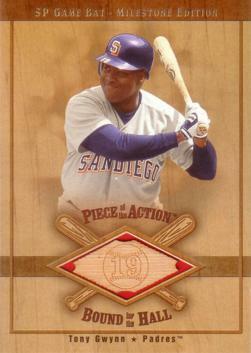 On the front of this card is a piece of a bat used by Tony Gwynn in an official Major League Baseball Game. We hope you enjoy this piece of MLB History as we at the Upper Deck Company, LLC continue to keep you as close as you can get!"